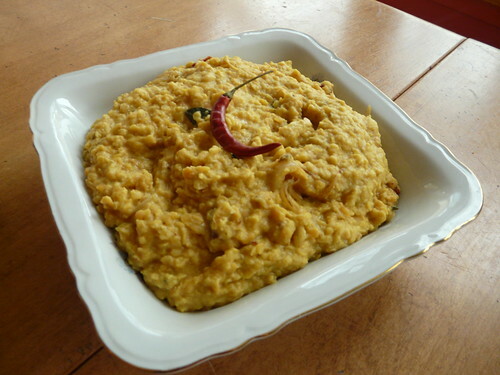 Dhal is a staple side dish in Indian menus, creamy and filling like mashed potatoes. 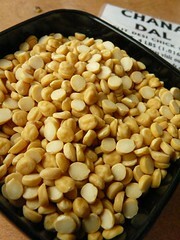 The texture depends on the recipe and the cooking technique, so it can vary from something like a thin bean soup to something more thick and creamy, like hummus. I like the added richness of coconut milk in this Sri Lankan version, but that certainly isn’t required – you can substitute plain water if you don’t like coconut or don’t have access to coconut milk. Basically, if you can’t get the right kind, don’t even bother – it won’t be the same and the dish isn’t “special” enough to bother with subsitutions that take longer, don’t taste as good, and don’t look as good. 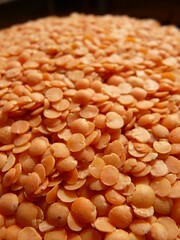 Wash dhal thoroughly with warm water. 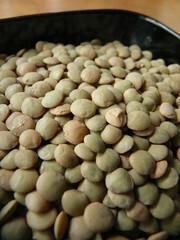 In a small saucepan, combine the dhal with 2 cups of water and bring to a boil. Add the garlic and turmeric powder and cook on moderately low heat for 6-7 minutes. Keep an eye on the saucepan as the cooking dhal tends to overflow. It helps to leave a spoon in the pot during cooking. Season with salt and cook for another 3-4 minutes. Add the coconut milk and adjust salt. Stirring frequently, cook for another 6-8 minutes. For the tarka seasoning mix, heat the oil in a small pan and fry the onions until golden. 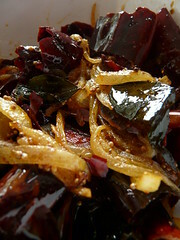 Add the curry leaves, mustard seeds, cumin seeds, peppercorns, chili powder, and dry chili pieces. Fry for approximately 15 seconds and season with salt. Stir constantly to prevent burning. 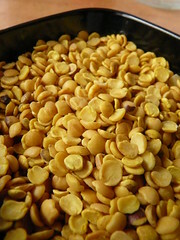 Pour this fried mixture into the saucepan containing the cooked dhal. Stir and simmer for about a minute. Let rest in the saucepan for a few minutes as this allows the ingredients and their inherent flavors to come together.